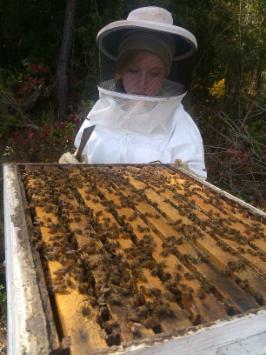 Harris County High School student Halley learning about beekeeping. 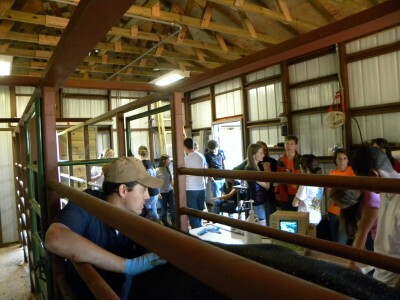 Harris County High School FFA Students learn about ultra-sounding cows. 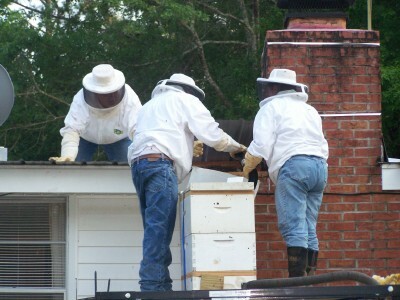 We drove over to a house in Ellaville after work on Friday to get these bees. 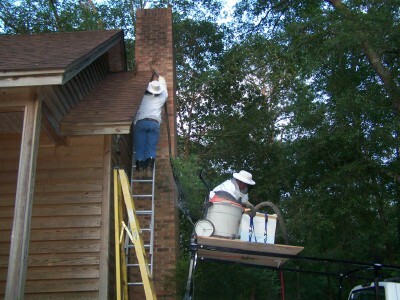 Did not realize that they were so high up. 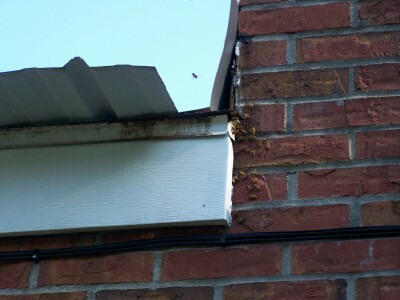 There was comb from the top to the bottom of the soffet. The owners were very nice. 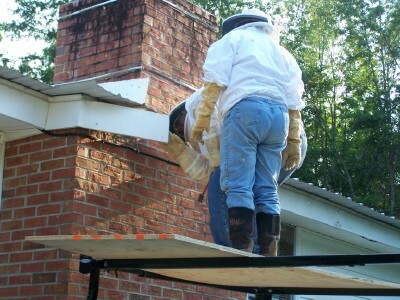 We all went over to a house in Alabama and removed a new hive on Friday night. 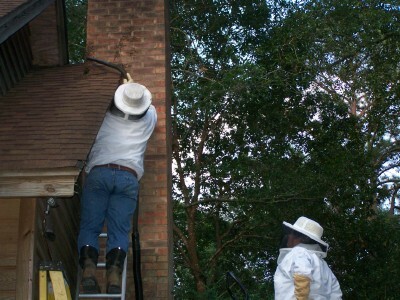 The owner was very nice and will be keeping an eye out for swarms and other hives for us. 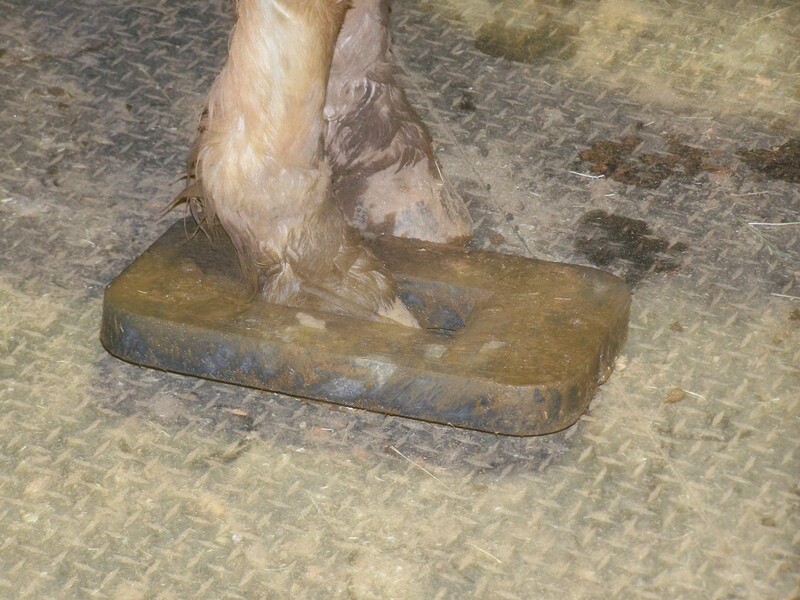 Horses do the darndest things. 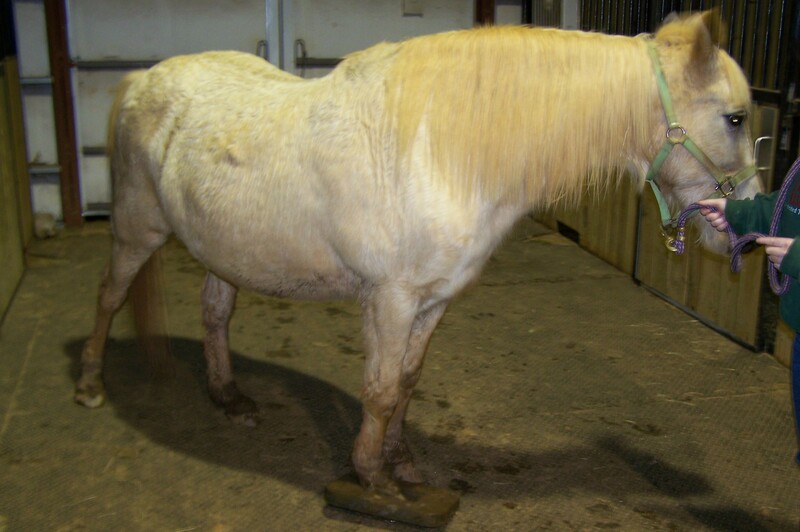 We went out to feed the horses this past winter and Honeybee came clip clopping into the barn a little louder than usual. We found a ground cover attached to her foot. I sawed it off and she was ready to go. 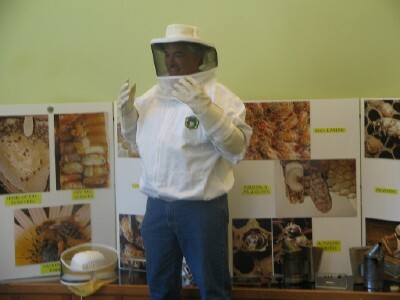 We taught a bees and beekeeping class at the Columbus Public Library. 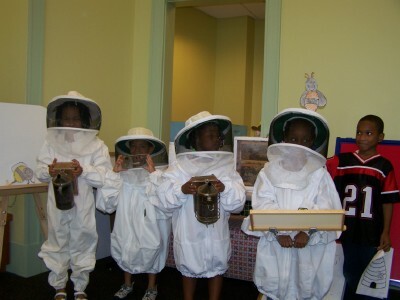 The class was full of kids and their parents for the summer reading program. Cathy Michaud runs the summer reading program and had asked if we would put something on for the kids. 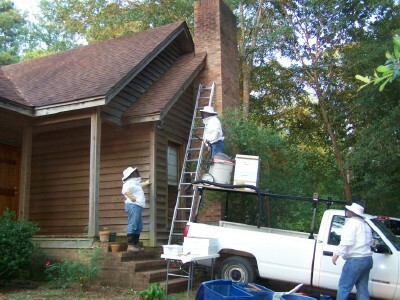 We brought honey, bees, honey frames with bees in an observation hive, an empty hive, smokers, and all of the other tools. 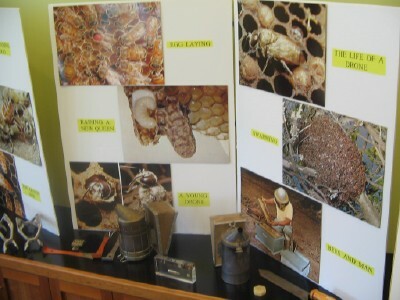 We also had two display boards, borrowed from Duane Johnson, with large clear pictures of different aspects of beekeeping. 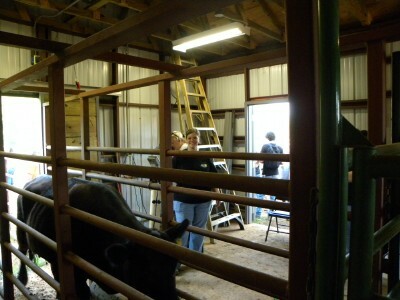 It went over well and the kids got to put on veils and handle different pieces of equipment. 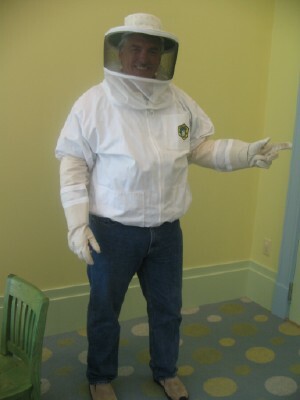 Who knows, maybe there was a upcoming beekeeper in the group. 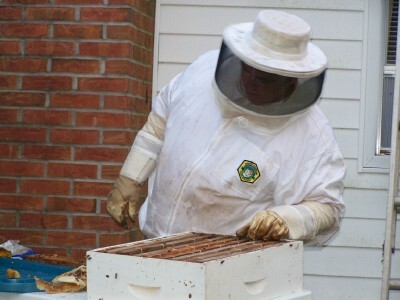 The biscuits that the kids ate with our honey was donated by the Kentucky Fried Chicken restaurant on Macon Road in Columbus. 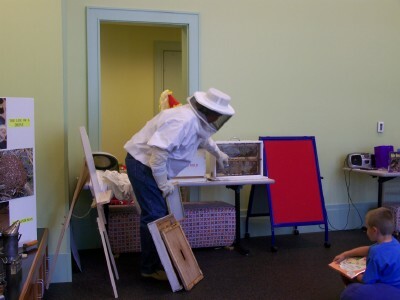 Cathy does a wonderful job of bringing in events for the kids to see and do at the library. I suggest anyone with kids to bring them to the library. 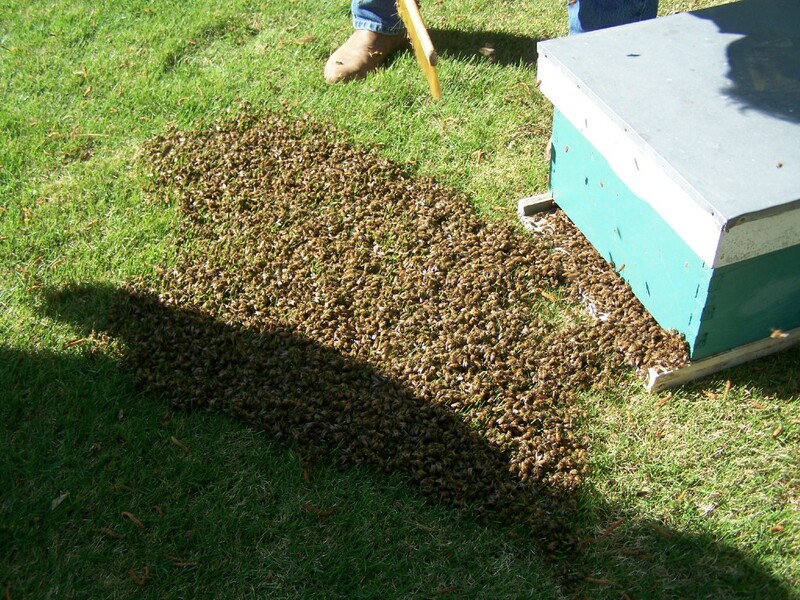 Here are some pictures of a swarm we caught. 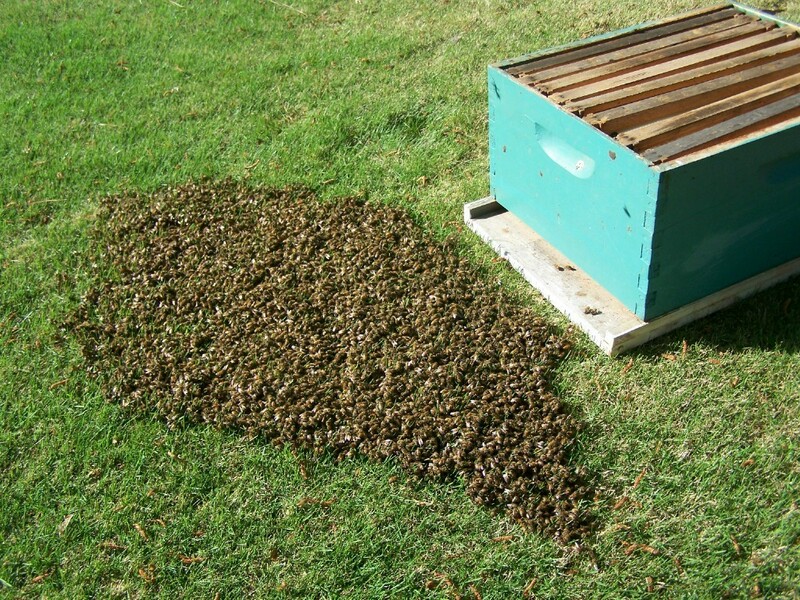 We were called the night before and it was late, so we told them that we would come in the morning if the swarm was still there. 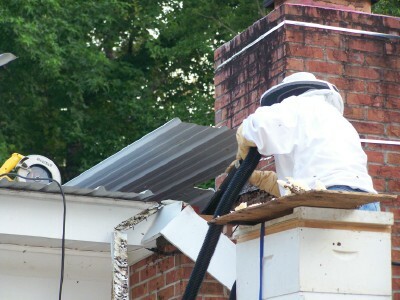 We arrived at the house around 8:00 am and set up a hive next to the swarm. 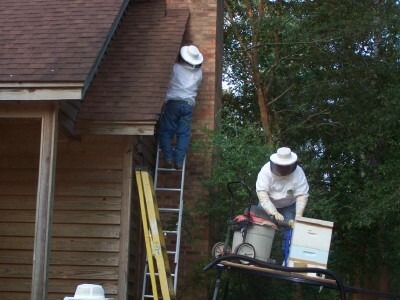 The home owners said that the night before, the hive had been in a ball. 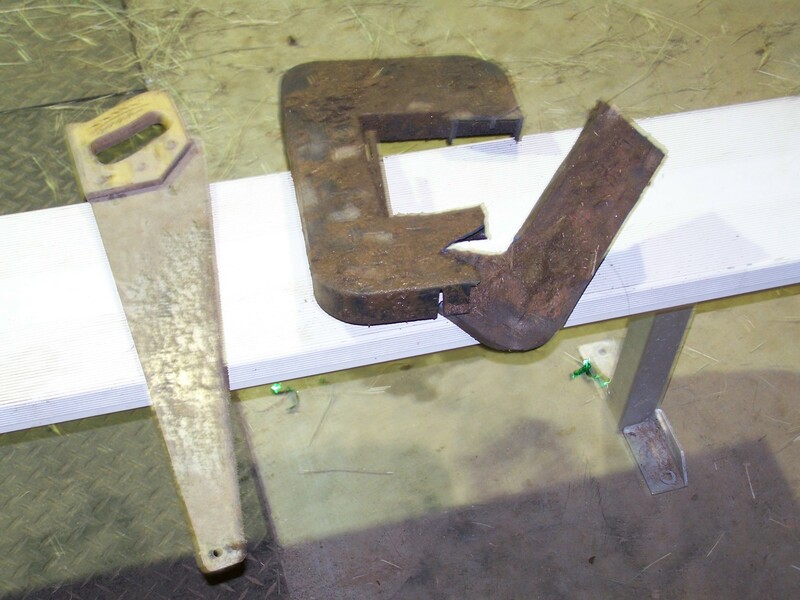 It now can be seen in the first picture as being flat against the ground. 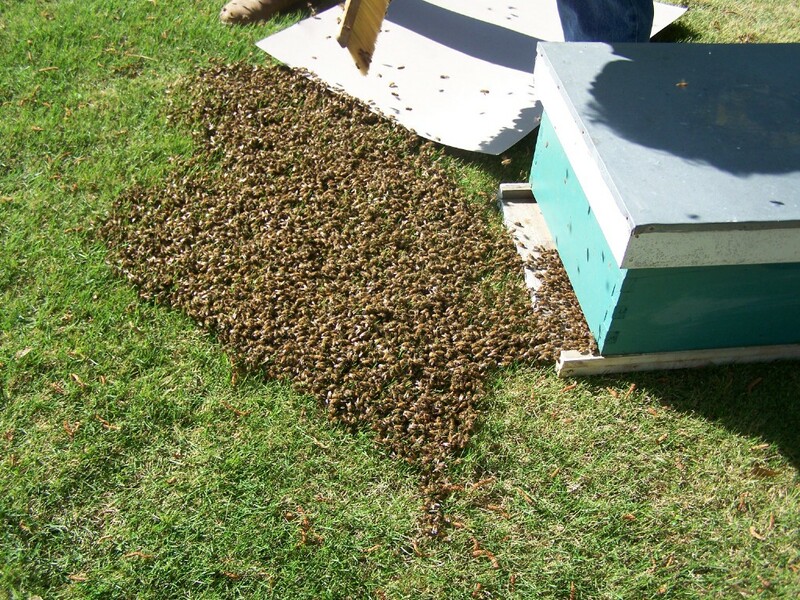 We tried scooping some bees into the hive and then noticed that the bees were marching into the hive. 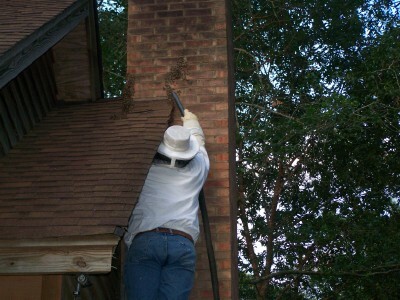 We stopped and all the bees marched into the hive within a half hour or so. 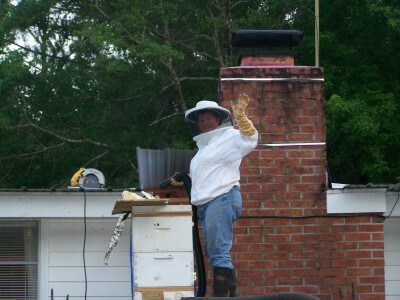 Then we just put a screen over the front and took a strap and put it around the hive and transported it back to the farm. 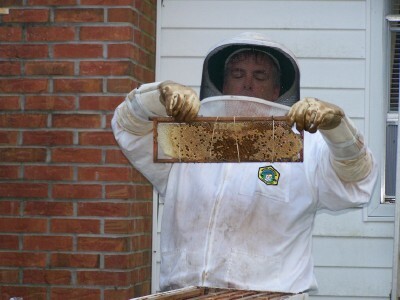 It has been more than two weeks and the hive seems to be doing well, it has almost filled a super with honey. 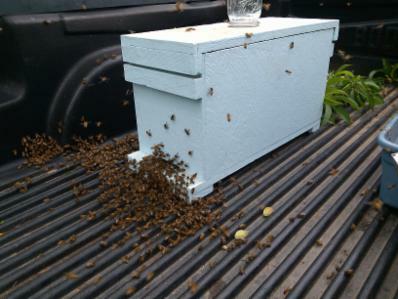 I have been told by older beekeepers, that if a hive is set in front of a swarm, they will march into the hive if you knock on the side of the wooden hive a couple times.